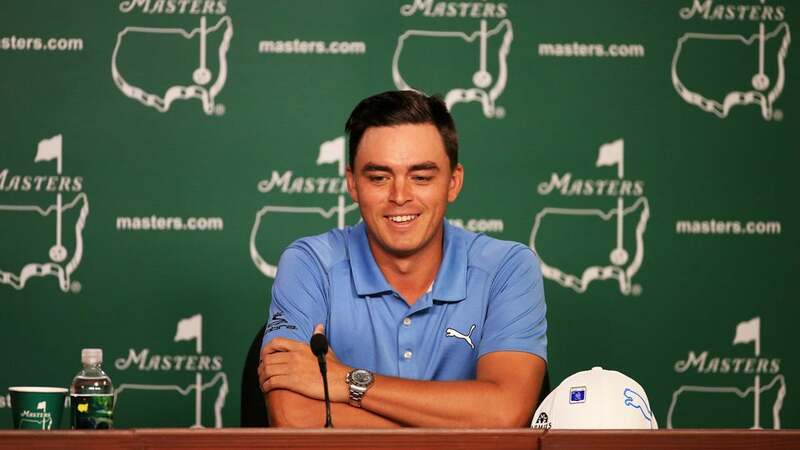 Rickie Fowler speaks to the media Tuesday at Augusta National. AUGUSTA, Ga. -- Plenty of good seats remained for Rickie Fowler's press conference here Tuesday afternoon in anticipation of the 80th Masters. "I'm fine sneaking around," he said of his under-the-radar status. But wait. How can Rickie Fowler possibly sneak into this Masters under the radar? And if he can, isn't the radar broken? The fact that there isn't more buzz around him right now speaks to the insane wealth of talent atop the men's game, but it doesn't make it right. Ignore him at your peril. In the last year, Fowler, 27, has merely won four times -- twice on the PGA Tour, twice on the European Tour -- and taken up residence in the top five in the World Ranking. Jason Day (six wins, including his last two starts) and Jordan Spieth (five wins) have won more, are ranked higher and had better attended pressers here. But like those guys, Fowler is not the same player who showed up here a year ago. He's way, way better. "I would say hands down the Players," he said of the victory that has been most transformative since he finished 12th at the Masters a year ago. (He also tied for fifth in 2014.) "Just being in the position where I was a ways out of it. I don't think I was really even on TV coverage. I was sneaky, I snuck my way back in (laughter). That one, I just kind of went at it, there was nothing to lose." Fowler came into the Players in the throes of a winless streak of just over three years, and having tied for most overrated player on Tour in an anonymous player poll in Sports Illustrated. Yes, he dressed like a traffic cone, but where was the substance behind all that style? His answer, in which he went eight under on his last 10 holes -- including four in a playoff -- was audacious and wildly entertaining. But it was more than just an image changer; it was a valuable lesson in self-belief. "Obviously you know you can pull off all those shots but to do it in a row, when you need to, pretty crazy," he said Tuesday. "And once I got going, just the belief and the confidence and going out there and just making it happen, instead of just trying and seeing if I could get the job done, that was the difference going into the Scottish and Deutsche Bank [and the Abu Dhabi HSBC] where I knew what I needed to do, and I went out and did it." The wind is expected to be up at cool Augusta National, but Fowler reminded his audience that he played collegiately in windy Oklahoma. He did not add that the windy British Open, where he tied for fifth in 2011 and tied for second in 2014, has been one of his best majors. What's more, his career progression points to a breakout 2016. That is: He finished in the top five in all four majors two years ago, and finally figured out winning last year. What's left? Figuring out how to win a major. "It's the perfect storm," Fowler said. "Combine '14 and '15 together, it equals winning a major. That's the way I look at it. "I feel like my game is better than it was at the start of the year," he added. "I didn't feel like I had my best to start the year, but I got a lot out of it and was able to minimize my mistakes, and like I said, get the most out of it. I feel like I've played very efficiently this year, which has led to a lot of solid finishes." He tied for 10th in Houston, tied for eighth at Doral, tied for sixth at the Honda. He lost in a playoff to Hideki Matsuyama at the Waste Management Phoenix Open. Everything he's done, he added, has been with the Masters in mind. Apparently that even includes his off-course endorsements. Fowler recently taped a series of short videos promoting Mercedes. In one of the bits, he opens up a closet full of identical Masters-green shirts before haltingly selecting one for the day. "I'm dressing for the job I want," Fowler wrote along with the video clip on Instagram. "Next week is the interview."